Multivitamin and mineral supplements are helpful tools in filling the nutritional gaps in our diets. 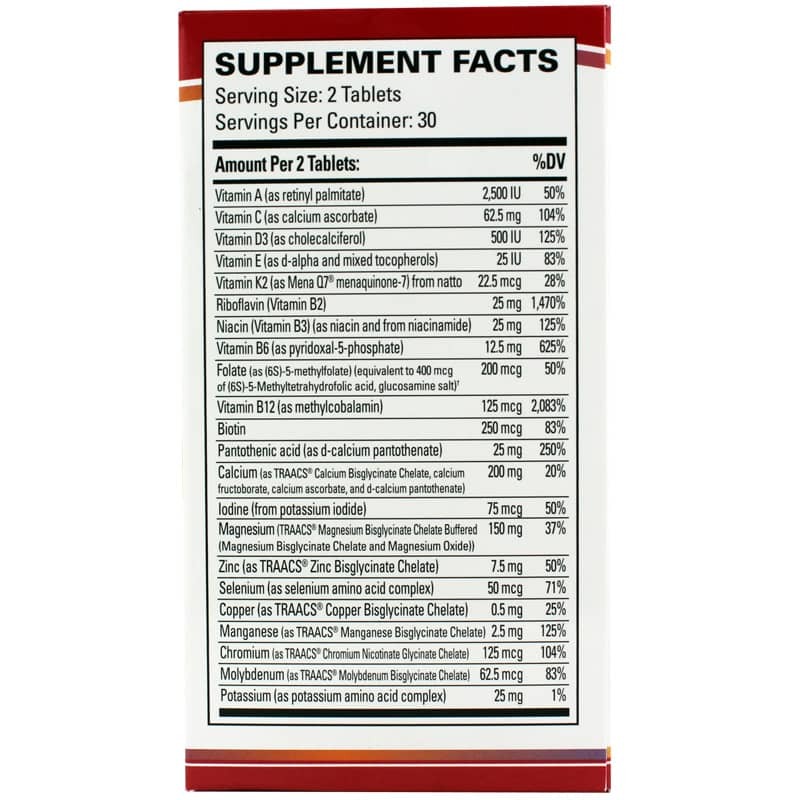 We can especially feel the difference when our supplements are made with premium nutrients. Proper levels of vitamins and minerals can support our immune system, balance our metabolism, support heart health, stop free radical damage and much more. 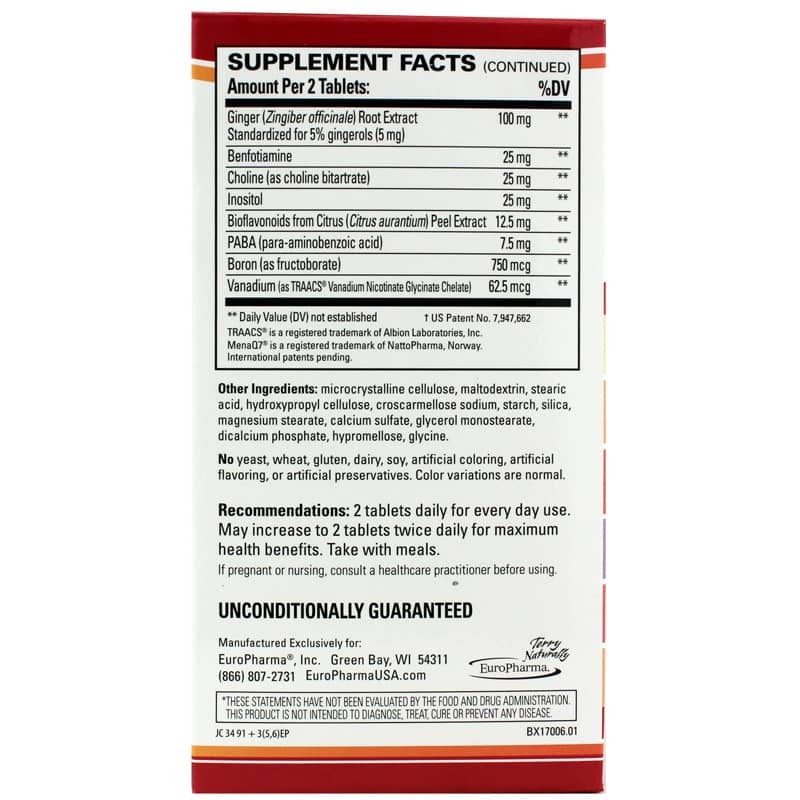 Terry Naturally offers a natural supplement called Clinical Essentials Multi-Vitamin & Minerals that contains 30 premium nutrients for supporting energy and vitality. This formula is free of yeast, wheat, gluten, dairy, soy, and artificial coloring, flavoring and preservatives. Recommended usage is to take two tablets daily with meals for everyday use, or take two tablets twice daily with meals for maximum health benefits. 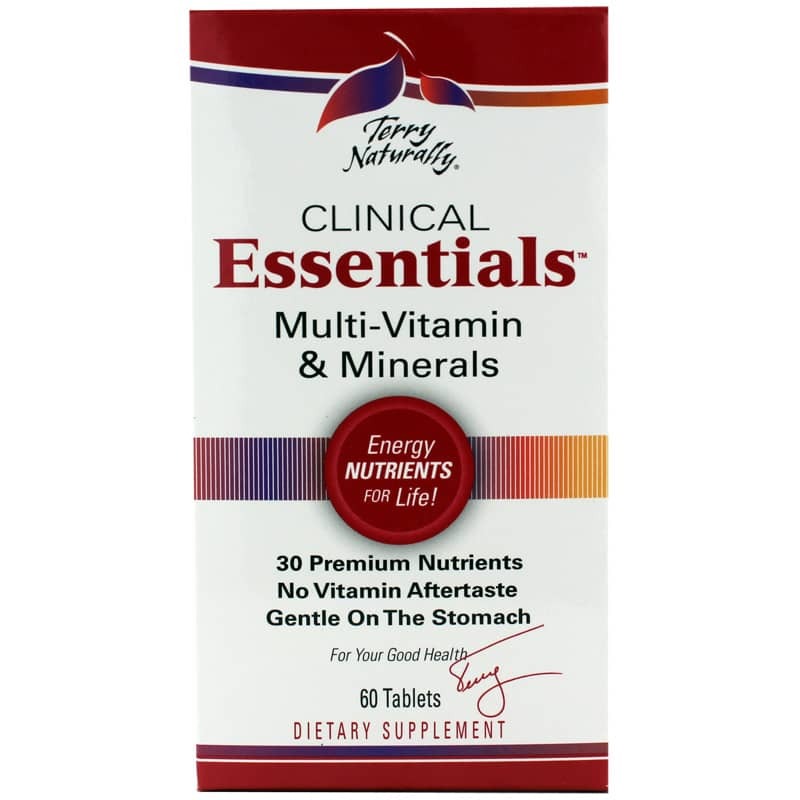 If you're looking for a natural supplement that supports energy and vitality, check into Terry Naturally's Clinical Essentials Multi-Vitamin & Minerals. Order online today! Other Ingredients: microcrystalline cellulose, maltodextrin, stearic acid, hydroxypropyl cellulose, croscarmellose sodium, starch, silica, magnesium stearate, calcium sulfate, glycerol monostearate, dicalcium phosphate, hypromellose, glycine. Contains NO: yeast, wheat, gluten, dairy, soy, artificial coloring, artificial flavoring, or artificial preservatives. Color variations are normal. Adults: 2 tablets daily for everyday use. May increase to 2 tablets twice daily for maximum health benefits. Take with meals.